LAHORE: Pakistan Tehreek-e-Insaf (PTI) Chairman Imran Khan on Monday challenged the jurisdiction of the sessions court to hear a defamation case filed by Punjab Chief Minister Shehbaz Sharif against him. Due to the absence of Imran’s lead counsel Babar Awan, his junior lawyer challenged the jurisdiction of the court. Additional and sessions court judge summoned the counsels of both sides to present arguments at the next hearing. In July 2017, Imran was issued a defamation notice worth Rs 10 billion by Shehbaz. The Lahore district and sessions court where the defamation case was lodged had asked Imran to submit his reply by August 21. 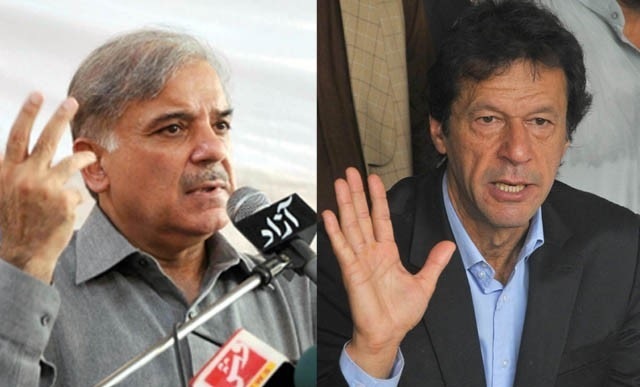 The notice filed by the Punjab CM under sections 4 and 9 of the Defamation Ordinance, 2002, states that Imran falsely accused Shehbaz of making a financial offer to him for remaining silent over the Panama Papers case.